In pretty shades of pinks and purples, this set is a great gift for any new parent. 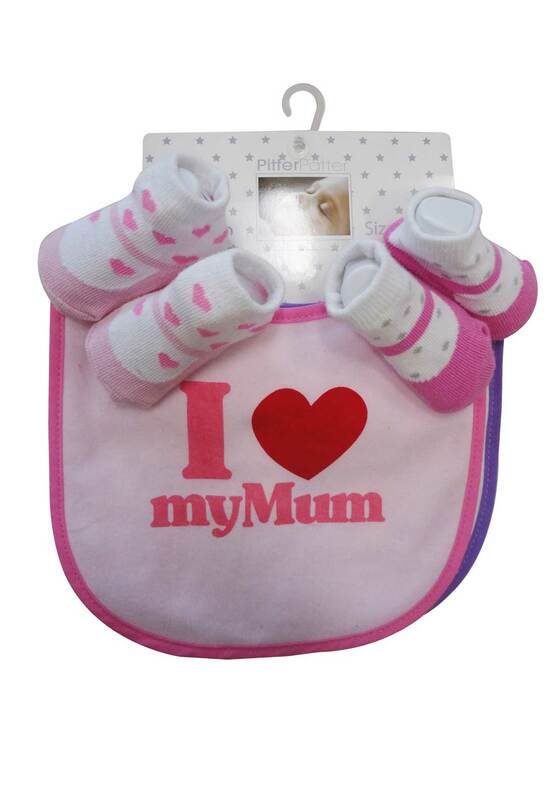 This matching set includes 2 bibs and 2 pairs of socks, and states “I love my Mum” on one bib. Suitable for ages 0-6 months.